We work to help every player develop her skills and compete at the highest level possible while she gains an appreciation for teamwork, sportsmanship and integrity. Our program teaches players to respect the game, to work hard, and to play the right way on the field and to serve the greater community off the field. Travel coaches meeting is the first Monday of every month at 8:15PM. Saint Joseph's University Assistant Softball Coach Gina McCool inspires Thunder players at the 2019 Winter Social. McCool is a former Cherokee and Rider University standout player. She has also coached at Army at West Point. 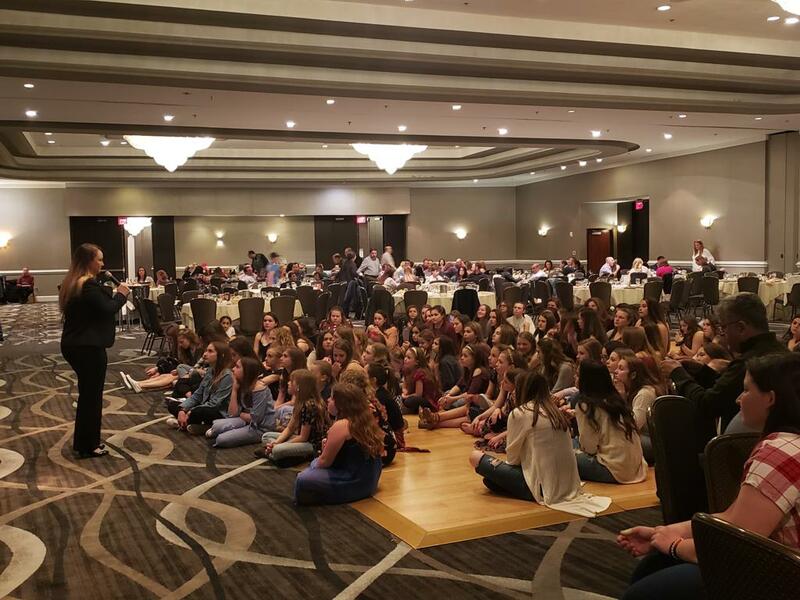 More than 350 Thunder players, coaches and family attended the annual dinner dance at the Crowne Plaza in Cherry Hill, New Jersey. MARLTON THUNDER ANNOUNCES 2019 FALL TOURNAMENT SCHEDULES!